A walk through the gates of Cossington Park reveals a very special house surrounded by a Secret Garden hidden from the roadway. The 22 acres of extensive gardens and grounds lends itself to contemplation or reading a good book. How about archery, falconry, an owl prowl or a Victorian carriage ride across the Somerset Levels… or take to the air in a hot air balloon and enjoy the stunning scenery. The possibilities are endless in this green oasis and there’s plenty for the children to enjoy on site and locally. Park House has 6 bedrooms and is available on its own or combined with Park Cottage annexe which has 3 extra bedrooms including a ground floor bedroom. We can sleep 22 with extra beds. Dogs are welcome in both houses and are greeted with their own welcome pack including a toy. Park Cottage has a walled private garden with a barbecue area. Park House has the kitchen garden which is enclosed and the main lawn which is open. There are rolling orchards and fields where dogs can enjoy a run. There are many lovely walks from the front door including National Route 4 which passes the front door. Walking maps and suggestions are available in both houses. Please check out our video to see just how much fun your dog can have when you stay at Cossington Park. Warm and inviting log burners, comfy sofas to snuggle into after your day out exploring. A place to relax and unwind with one of the many books before falling into your soft bed, these are just some of the homely features you can expect when you book Cossington Park this winter. With spacious accommodation for 12-16 in Park House, 6 in Park Cottage and up to 22 with exclusive use of the whole estate using day-beds, put-you-ups and cots. On-site and off-site activities to suit a vast range of ages and interests. Child friendly, pet friendly, friendly to those with special needs. Special offers for rentals taken during November and December – an amazing 25% discount! From the moment we stepped through the garden door we were enchanted. The beautiful gardens and large but homely cottage provided an idyllic setting for our family to enjoy a most memorable holiday. It was like stepping back in time watching the children play in the grounds and we all enjoyed exploring the books and antiques in the house. We also rented the new cottage which enabled easy access for a wheelchair and allowed enough space for all 23 of us (and the dog!). The staff were most helpful and very respective of our privacy. What a wonderful home and gardens! There is ample private parking for several cars, and the very large gardens and field are fully secure from the main road for children and dogs to run around in. There is an open barbeque area that we used each night. The gardens are something else- different planting areas, screening, and a peace and tranquility that has stayed with us. Inside the house, it was spacious and each room was full of interesting books and pictures, so lots to explore at each turn. There are different size bedrooms, some double some twin, and all with their own character, and the different bathrooms meant we could choose whether to shower or have a deep bath. The kitchen was very well equipped- bring a favourite bread recipe as there is a bread machine and our hamper had locally sourced flour, lots of storage space, two large fridges and beautiful views of the front garden. There is Sky. Wifi coverage was limited in the house, but we could get this when outside. We felt at home as soon as we arrived, and would be delighted to return. We had an extended family gathering covering 3 generations to celebrate an 80th birthday. There were 14 of us and the children were on camp beds but we were all very comfortable. We loved the house which felt very homely and welcoming. The gardens were beautiful and extensive. We enjoyed formal dining in the lovely book lined dining room as well as the more relaxed atmosphere in the large kitchen/breakfast room. The kitchen was superbly equipped and had 2 dishwashers. There was an extremely generous welcome pack including wine and produce from the local area. Even our dog was made to feel welcome with a gift and water bowl. The drawing room was big enough for all of us to relax together in the evening, The layout and 2 staircases were perfect for hide and seek while the huge number of books provided entertainment for the more erudite members of the group. Highly recommended for family get-togethers. We had an amazing week at Cossington, the location was superb, the house was awesome and everything from the welcome pack to the people made it really special – a truly memorable holiday. 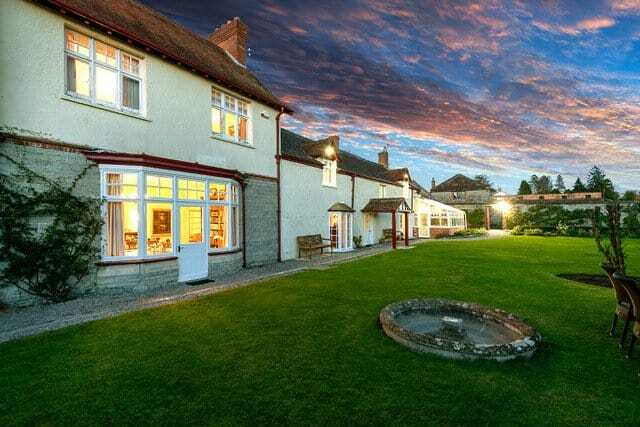 We booked Cossington Park for my 30th birthday celebrations with my closest friends. There were 15 of us. We played a murder mystery game over dinner, the house was perfect for this! We had ample space in the living areas. The house is beautiful and full of everything you need. Very clean and the beds were so comfy! The grounds were amazing and we had a wonderful time. I would definitely go back. Thank you Cossington Park.